Playing as well as listening to music can be beneficial for your physical as well as mental health. Researchers have found several health benefits of music therapy and believe that it can play an important role in modern healthcare. The key to most of these benefits is listening to the type of music you enjoy most. Music lovers will agree that music has the ability to ‘heal the soul’. Furthermore, scientific studies show that it affects various parts of the brain. As Oliver Wendell Holmes puts it, “Take a music bath once or twice a week for a few seasons. You will find it is to the soul what a water bath is to the body. 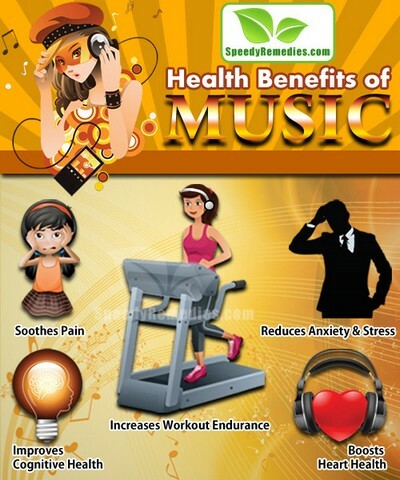 Let’s explore the incredible health benefits of music. A study published in the Journal of Pain suggests that listening to music can work as an effective pain relief for high-anxiety persons by diverting cognitive focus from pain. High anxiety persons usually become absorbed in activities easily thus causing distraction, which is a proven pain reliever. According to paper published in the UK-based Journal of Advanced Nursing, listening to music can help reduce chronic pain by up to 21 percent and depression by up to 25 percent. The study participants reported a drop in self-rated disability by 18 percent and a rise in feelings of empowerment by eight percent after listening to music of their choice, an hour a day for one week. Listening to high energy and high tempo music while exercising can help improve your workout by increasing your endurance, improving your mood and also keeping you distracted from discomfort caused by exercising. It also releases endorphins, the hormones that lift your mood, thus motivating you to carry on longer with your workout. A study by scientists at the Brunel University has found that music can help increase workout endurance by almost 15 percent. The study has also shown music to have improved the experience of cardiovascular exercise. 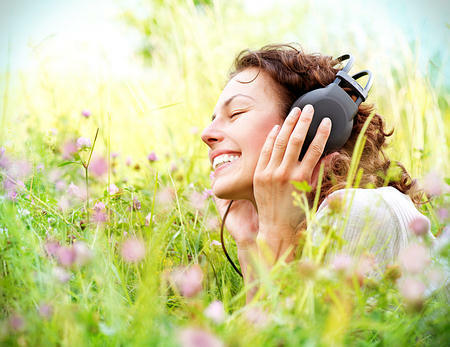 Several studies have shown that music therapy can be useful in reducing anxiety and stress. Moreover, it has been found to be more effective than prescription drugs in decreasing anxiety before undergoing surgery. Listening to music has also been found to help cancer patients manage stress and anxiety better. More often than not, gentle music with a familiar melody is considered calming and comforting. No wonder the sounds of nature are considered most soothing and relaxing. Still, you can explore different types of music find the melodies that produce a sense of calm and centeredness for you. Research indicates that music helps reduce the levels of stress hormone cortisol which suppresses the immune system. Chronic stress has been known to wreak havoc on your mind as well as body, thereby putting your health at risk. It contributes to problems including depression, sleep problems, digestive problems, heart disease, weight gain, etc. Music is known to promote cognitive development in children. Several studies have found that music training at an early age stimulates a child’s brain to improve visual, verbal and communication skills. It has also been shown to improve memory. Playing or listening to music also keeps the brain healthy as it ages. It has inherent restorative and healing qualities that can help fight dementia as well. In fact, it seems to reach the damaged parts of the brain more efficiently than other forms of communication. Singing, in particular, helps unlock memories and regain cognitive skills. University of Maryland Medical Center researchers have linked listening to joyous music to improved heart health through a healthy effect on the blood vessel function. They have found that the emotions aroused by joyful music promote the dilation (or expansion) of the inner linings of blood vessels, thereby increasing blood flow. Listening to relaxing music every morning and evening, just for half an hour can also help lower blood pressure in patients suffering from high blood pressure. Plus, Finnish researchers suggest that listening to music can help with stroke recovery as well.